A favourite amongst interior designers, the De Soto set of 3 Coffee Tables by Eichholtz have a cool Scandi vibe mixed with a mid-century modern feel. 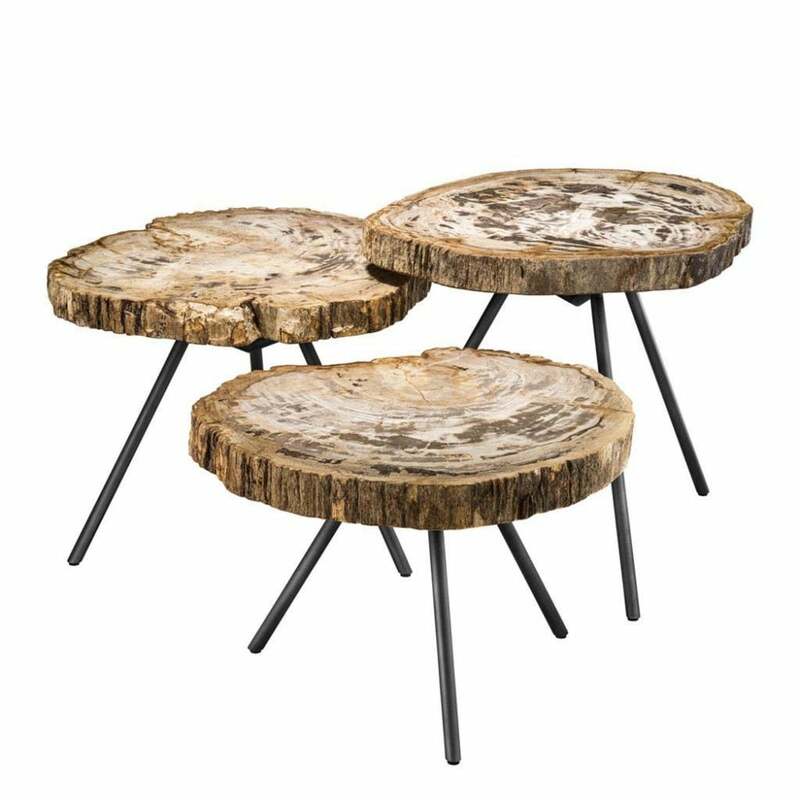 The circular tables are hand-crafted from petrified wood. Each piece is completely unique and no two are alike in colour and shape. Petrified wood is made when trees have been buried for many years under sediment and they can then transition into stone. Choose from light or dark petrified wood finishes to complement your interior scheme. Finished with gunmetal or black polished legs, the varying heights will add depth and interest to your living room interior. Style with your favourite coffee table books and greenery. Get in touch with our team for more information and advice.